In a letter to U.S. Attorney General Jeff Sessions, the lawyers argue that such arrests 'undermine the fundamental constitutional guarantee' of the right to seek redress in court. Scores of Maine attorneys are urging federal officials to end the practice of arrests by U.S. Immigration and Customs Enforcement agents at courthouses in the wake of the detention of a Somali man in Portland. The American Civil Liberties Union of Maine says 179 attorneys sent a letter Monday to U.S. Attorney General Jeff Sessions and Homeland Security Secretary John Kelly. Their letter says such arrests at courthouses “undermine the fundamental constitutional guarantee” of the right to seek redress from the court system. “No one should be afraid to seek justice because of his or her immigration status,” the letter says. The lawyers said courthouses should be treated as schools, churches and other sensitive locations where federal agents avoid immigration-related arrests. “Courthouses are sacred to our democracy, and they should also be included on the … list of sensitive locations,” they wrote. A spokesman for ICE said Monday the federal agency does not consider courts to be sensitive locations, although such arrests are avoided when possible. “While ICE does arrest targets at courthouses, generally it’s only after investigating officers have exhausted other options,” spokesman Khaalid Walls wrote in an email. At the same time, Walls said, courthouses provide federal agents with secure environments to make arrests because their targets have been screened for weapons. Federal immigration officers detained the man, who is believed to be an asylum seeker, at the Cumberland County Courthouse in Portland last Thursday. 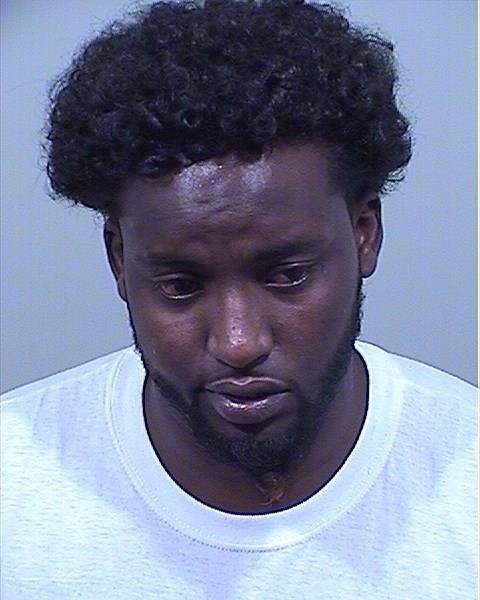 Abdi Ali, 28, of Westbrook had just attended a hearing on a drunken driving charge, which is usually not considered a deportable offense. His court-appointed attorney told the Portland Press Herald she was meeting with Ali in a conference room inside the courthouse when three ICE agents entered and said, “We’re here for him,” gesturing toward Ali. The arrest is believed to be the first such detention in Maine since President Trump announced he would ramp up immigration enforcement. But courthouse arrests have happened elsewhere since the start of the new administration, and Maine attorneys are not the first to criticize the practice. In March, the top judicial official in California asked Sessions and Kelly to stop immigration agents from “stalking” courthouses there to make arrests. “Courthouses should not be used as bait in the necessary enforcement of our country’s immigration laws,” Tani Cantil-Sakauye, the chief justice of California, wrote. Last week, several California prosecutors also wrote their own letter to ask the Trump administration to reconsider the practice. “ICE courthouse arrests make all Californians less safe. These practices deter residents concerned about their immigration status from appearing in court – including as crime victims and witnesses – jeopardizing effective prosecution of criminals who may then re-offend,” the April 4 letter reads. “Courthouse enforcement by ICE also risks confrontations that could endanger members of the public at courthouses throughout our state. The Department of Homeland Security declined to respond to the letter and deferred questions about enforcement to ICE. The Office of the Attorney General also declined to comment on the letter. However, in a written response to Cantil-Sakauye’s letter, Sessions and Kelly said courthouse arrests are often necessary when state and local governments do not help federal authorities deport undocumented immigrants. The letter from Sessions and Kelly also said courthouses are secure places to carry out arrests. “Because courthouse visitors are typically screened upon entry to search for weapons and other contraband, the safety risks of arresting officers and persons being arrested are substantially decreased,” their response says. Ali is now being held at the Cumberland County Jail. He told his attorney he is an asylum seeker, but his immigration status could not be confirmed. An ICE spokesman said at the time that Ali had an “extensive” misdemeanor criminal history. A criminal background check confirmed Ali was twice convicted of misdemeanor assault in 2010, along with a host of petty crimes dating back to 2009. Walls, the spokesman for ICE, declined Monday to provide any updates on Ali’s case.